Warning: Emotional post coming up! This is the second time I have used Affairs of the Heart as a title to a post. The previous time was January 20th, 2012 (and I’m republishing that post tomorrow). How time flies! Indeed, in a little over two week’s time, on July 15th, all you dear, dear readers and I will be celebrating me writing this blog for seven years! Indeed, how time flies! John that was one amazing video, still wiping away tears.. Thank you.. Through our choices we CAN make Changes in our lives..
John, Jean awoke just a few moments ago and I have just played your video in front of us both. It is so beautiful and important that I want some time to fully compose my response. Plus Jean and I need some time to stop weeping! Just had this idea to feature your video and my reply as tomorrow’s post. Thank you, John, for sharing this. Thank you so much. So now we head for my emotional response to that video. Change is inevitable. Another word for change would be time. Time is the most fundamental principle of the Universe. Call it the Arrow of Time. It flows only in one direction. From order to disorder. It has to be that way. For evolution is a product of the decline of one variant of life (plant, animal, insect, higher order ‘animals’, etc. ) and a new aspect of that life emerging (or not). That’s how it has to be for the beauty of life, the beauty of life in all its forms (even including politicians! 😉 ). Life is a function of a “gradual decline into disorder“. I’m not a religious person, nor is Jean, and do not believe in any form of afterlife. When I die that’s it. I was born in 1944. I am ageing. I have suffered some brain atrophy that means that my recall is terrible. I know that the ageing process is going to continue. It scares me. At least it motivates me to keep as physically and mentally fit as I can. I have tried hard most of my life to stay fit, physically and mentally. I’m only now aware of the reward of such an attitude. But I haven’t been emotionally fit. In the sense of not truly knowing who I am and what my values are. That darkness was illuminated for me in the Summer of 2007, thanks to Jon. That very moving video of Eric and Peety speaks of Eric being saved by Peety. I so deeply understand Eric. For in December, 2007, just a few months after Jon (as in being the best we can be) made me fully aware of my distorted view of myself I travelled out to Mexico and met Jean and all her dogs. Jean has saved me. Directly from the love, companionship and intimate friendship that she offers me. But Jean has also saved me indirectly. By that I mean from me living my daily life these last nearly ten years surrounded by the most beautiful dogs that one could imagine. Those dogs, each one of them in their own special way, also offering me love, companionship and intimate friendship. Prior to December, 2007 I didn’t know how to feel my true emotions and, in consequence, didn’t know how to express them. Jean and the dogs have enabled me to feel my true emotions, and to express them. Dozens of things pain me and it’s rare day when I don’t have the odd weep or two. However, dozens of things please me each day and now bring out a laugh, or a giggle. Even better, dozens of times each day I am loved by our dogs and the gift that goes with that love is me feeling so beautifully accepted; accepted in an utterly unconditional manner. The love given to me from our dogs and the love from my beautiful Jean make it so easy for me to be good to myself. That love, from Jeannie and the dogs, has been a gift to me beyond my imagination. I have hanging on my office wall a framed print of a poem by Roy Croft. I gave it to Jeannie on the first anniversary of our marriage. I want to share Roy Croft’s words with you. For they so beautifully describe the gift of love I receive from Jean. But in a way that I suspect Mr. Croft didn’t imagine when he first penned his poem, his words also so beautifully describe the gift of love I receive from our dogs. If you have read my post through to the end, thank you! A Romantic Proposal in mind? John, thank you very much. Best wishes to you. Hey, I have some great news. Heard just yesterday that Sanda (MaxMello) will recieve 5 tons of food from Pedigree for one year! One less headache. Forgot to say, that’s 5 tons per month for a year. Oh, what wonderful news. Will you write a piece about the great work done by MaxMello that I can publish here? I really don`t know much more than I put in my brief article. They’re in another city, so we’ve not even had a chance to visit… yet. They do believe in us and love us so. I’m so happy that you opened up to all the life affirming and healing love that is out there Paul! When we find the dog and the person that cracks open the shell, We become truly free to feel. It happened to me too. I am glad I called in here before I retired for the evening Paul. Been busy watching Football Wales in the European Cup. 🙂 And your post brought another Lump.. You are 3 yrs older than my hubby, And I know all too well those years fly ever faster. But I am so pleased that during the time you have known Jean that you have also come out of your shell so to speak. And reconnect again with those long buried emotions that often get switched off to save ourselves from further pain. Life then has purpose and meaning when you find such Love in another or the love of your dogs.. But I do have one difference of opinion lol, and you know what is coming..
You see, I DO believe in LIFE after LIFE.. Because I have had it proven and you know I SEE..
And so many times I have reconnected Owners with their dogs who have passed over, giving them their breed and yet I never knew the person before speaking to them. 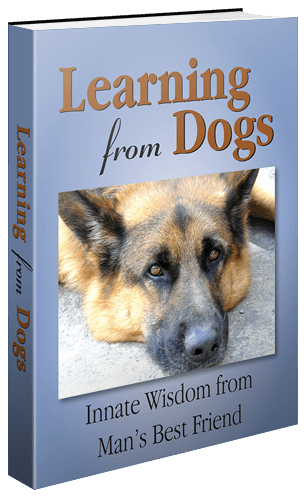 This is wonderful and I am so happy to have read about how your life changed with the help of Jean and her dogs. My spirit has been lifted. We have both been out most of the day and, therefore, I have only just read your lovely replies. I am sitting up in bed. Jean has just turned off the light beside her side of the bed but before she slipped into her sleep I read aloud to her what the three of you wrote. Jean murmured her contentment of what each of you said. I’m about to turn this iPad off and follow Jean to sleep. But I know my last conscious reflections will be your words.